This project is dedicated to the democratization-process currently taking place in Egypt. the question of how these factors utter themselves in the realm of aesthetics. conclude in a publication and a presentation at the Townhouse Gallery in Cairo. continual dialogue regarding the progression of political visualities in Egypt. digital spheres and urban contexts. 2011/12 follow; which do they dismiss? sented . Please also include a couple of relevant work samples and your CV. artistic researches combining academics with artistic intervention. Sciences and Arts at the German University in Cairo (2011/2012). 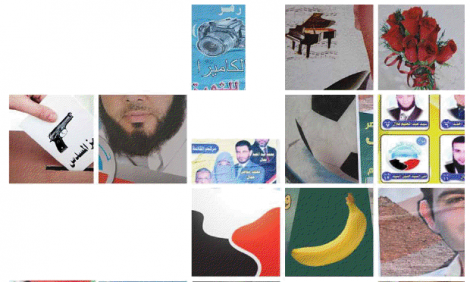 CAMPAIGNING CAIRO is a project by Prof. Fred Meier-Menzel, Mikala Hyldig Dal and Dina Kafafi in collaboration with lecturers Sabine Schwarz and Mina Youssef at the German University in Cairo.